Since April is the month of Indian Premier League, you would definitely like to stay updated with all the latest information. Although you can take a look at the complete schedule of IPL 2018 on the official website or any other cricket portal, what about getting the complete IPL 2018 Schedule on your Android device? Well, yes that’s true! You will not be able to get the complete schedule of IPL 2018 but will also get reminders for all the matches. Go to IPL’s Official Website. Now, on the right-hand side, you’ll see a calendar icon. Click on it to download the Calender file. The file will be downloaded on your computer. Now, navigate to www.google.com/calendar and sign-in using your Google ID. Your calendar will open. On the left-hand side, you will see an option “Other calendars”. Click on the drop-down arrow next to the label. Now, click on “Import Calendar“. A new file selection box will open. Select the calendar file which you downloaded from the IPL website. (with the extension .ics). Your calendar will be successfully imported to your Google Account. Now, whole IPL Schedule can be viewed through your mobile Calendar App. Just make sure that you’re using the same Google ID through which you’ve imported your Calendar.Â In fact, you will also get reminders for every matches 30 minutes before the start timing of the match. This is really a great option to stay updated with the schedule. 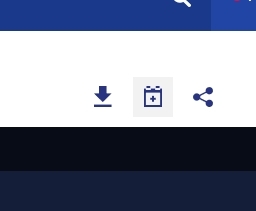 Can’t find Calendar icon on the website. It is April 2nd – there is no calendar icon yet – pls can you send a google calendar download quickly please !! !